How to invest in Decent.bet (DBET) for dummiessteemCreated with Sketch. 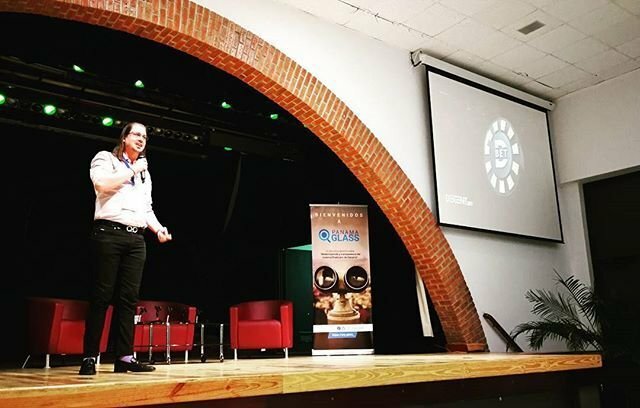 Decent.bet is an innovative project, focusing on revolutionizing the casino industry. As most people know, casino's have a small house edge, enabling them to make profits on average over a long period. Players usually have a certain degree of uncertainty on how their win chances actually are. Especially on online casino's, you never know if you actually have a decent chance to win, or if the house claims most of the profits. The Decent.bet platform hereby offers a great solution, both improving investor and player experience. Because the system is fully transparent and active on the #Ethereum blockchain, players know exactly what their win chances are, giving them a fair and great experience playing on the Decent.bet casino games. As an investor, you will become part of the house, earning a chunk of profits from the house edge the casino has. I will not go into too much detail, because this is an investment guide explaining how to invest into the platform. If you would like to have more information on the project, visit the http://decent.bet/ website. Please read these warnings before investing money. Especially if you never invested money before, it is important to obtain a basic understanding and understand the risks. No matter how good a project is, there is always a possibility of losing your money. You are fully responsible for your own investment choices. Never trust anyone offering you unsolicited investment advice. Never give anyone access to your wallets or accounts. Research and fully understand anything you put your money in. A great place to start your research is Coinmarketcap, as it has all necessary information and links you need. Start with small amounts of money until you fully understand what you are doing. An exchange is a service where you can trade cryptocurrencies such as #Bitcoin, #Ethereum, #Litecoin etc. You need to create an account at an exchange that supports #DBET tokens. For this guide I highly recommend Cryptopia, because this exchange is the easiest to understand. After you logged in, proceed to create a wallet address for #BTC. To do this, go to the deposit page after having logged in. For this guide, we use the Cryptopia exchange. The string at the bottom (for example: 1FJuK4RtjP3KrmvDNT9f7gNpjysPxA1h6U) is your wallet address. 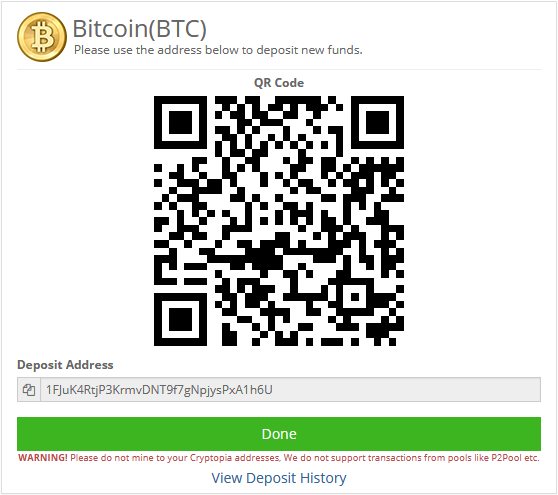 This is the address you are going to send your newly purchased #BTC to. The term #fiat stands for regular currencies, such as the #dollar, #euro, #yen etc. You need an account at a fiat exchange service to be able to purchase cryptocurrencies. I recommend Coinbase or Litebit. For this guide, we will use Coinbase. First, purchase some #BTC on Coinbase. This might take a few days, depending on your payment method. After your payment has been completed, click on the Accounts button. A list of wallets will appear. Check if the #BTC wallet is credited with your newly purchased coins, and if it did, click the Send button. Now you will see a screen where you have to enter your Cryptopia wallet address. Warning: Make sure you use a BTC address for BTC! Sending for example BTC to a LTC address will result in losing all your coins! Type in all information Coinbase asks, triple-check the addresses to make sure you send your BTC to the right address, and click the Continue button to finalize the transfer. Your money will now be sent to Cryptopia, please be patient until the transfer completes. This might take minutes to hours, depending on the currency and if the network is congested. Once you have received your coins, you will see this on the deposit history page, and your balance should be credited on the balances page. The 'amount' field shows the amount of #DBET you will get. If you are comfortable with the amount, click on the big 'Buy DBET' button to submit your market order. 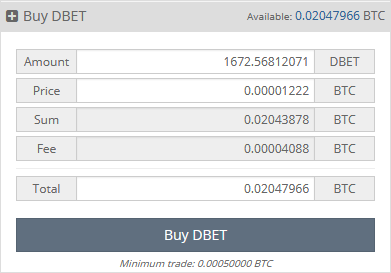 Depending on the market conditions, you either purchase DBET immediately or it takes a while, waiting for someone to accept your order. Once your order has been completed, your DBET tokens should be visible on the Balances page. Congratulations, you now own #DBET tokens! Optionally, you can get the decent.bet official wallet and send the coins to this wallet to secure your #DBET off the exchange and enable you to invest into house shares once the system goes live. This guide does not cover this, so please reach out to the Decent.bet Reddit page to obtain more information and ask your questions. Hopefully, this guide helped you invest into this amazing project. I am not affiliated to DBET, but I highly believe in the project and in their team. If you find my guide useful, please consider leaving some tips into the tip jar below! I wish you lots of love and a profitable period! Disclaimer: I am in no way responsible for any action you do. This guide is purely informal, and should not be considered as investment advice. I love me some DBET! Upvoted and Resteemed! Jedidiah speaking on Sunday at Panama Glass.